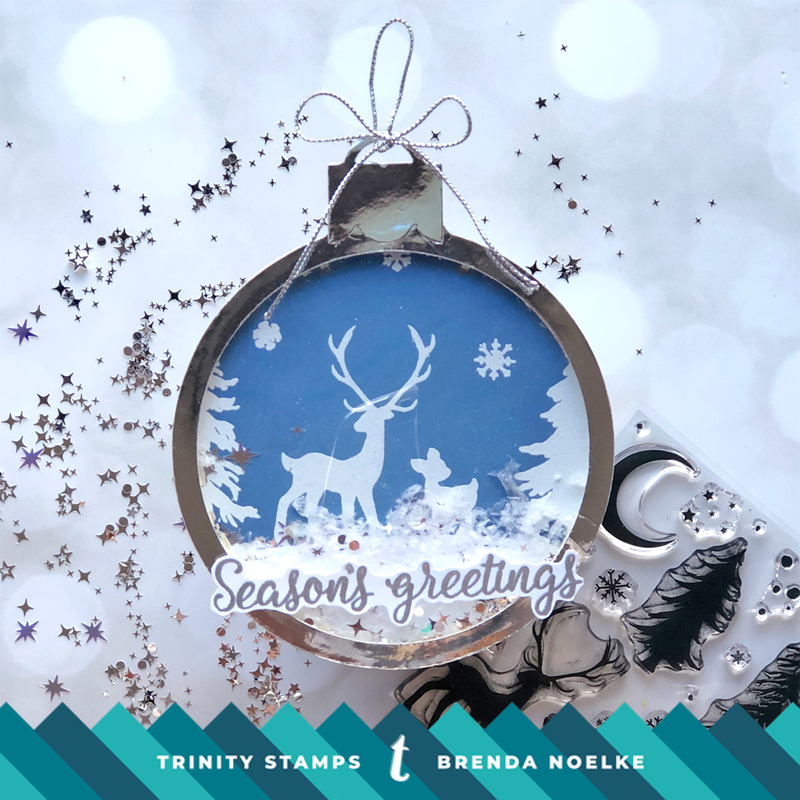 I thought the Season’s Greetings Silhouettes stamp set would be perfect for a snowy shaker ornament!! I began by die-cutting all of the elements for the shaker ornament from silver mirror paper, Bristol & acetate. I ink blended Stormy Sky & Faded Jeans Distress Oxide Inks onto the Bristol background to create the sky for my scene. 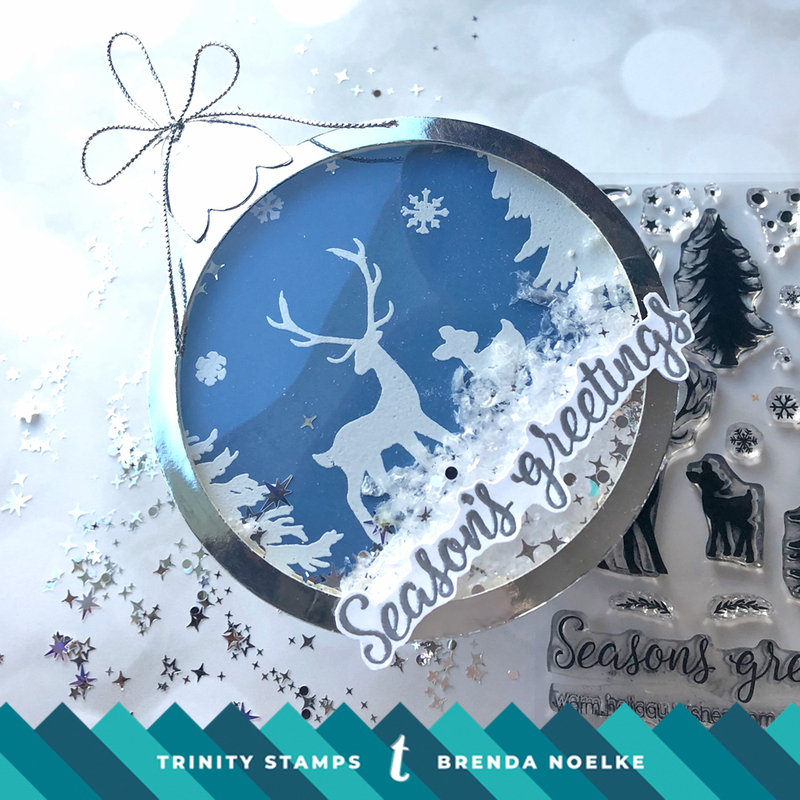 Once it was dry, I white heat embossed the deer, trees & snowflakes from the Season’s Greeting Silhouettes onto the ink-blended background. I cut a hill using the Castle Scene Builder from white cardstock and adhered it to the background. I added Satin Snowfall & Magical Lumos Glitter Confetti mixes for the shaker element. 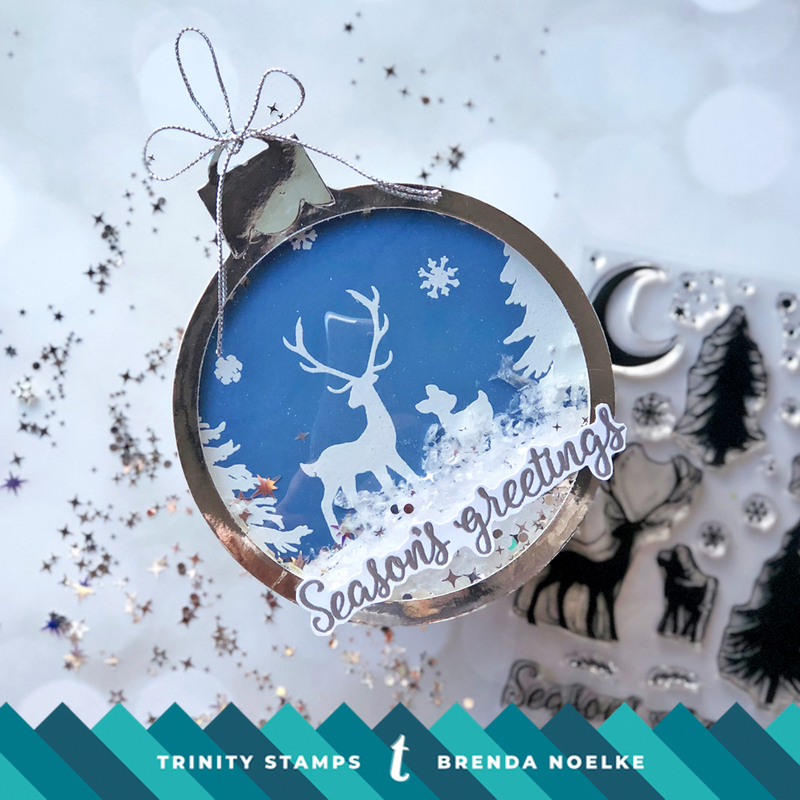 The sentiment (also from Season’s Greeting Silhouettes) was silver heat embossed onto white cardstock, fussy cut and adhered to the bottom of the ornament. Lastly, I tied some silver cording into a bow for the ornament hanger. Lovely! This is really nicely done!